Flow has been an awesome tool for building sequential flows, along with conditional logic. This means you can create a sequence of steps that execute one after another. 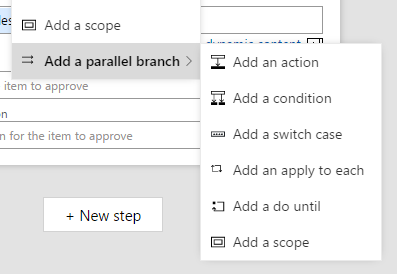 Today, we are announcing that Microsoft Flow supports parallel execution as well: meaning you can have two or more steps that run at the same time, after which the workflow will only proceed once all parallel steps have completed. 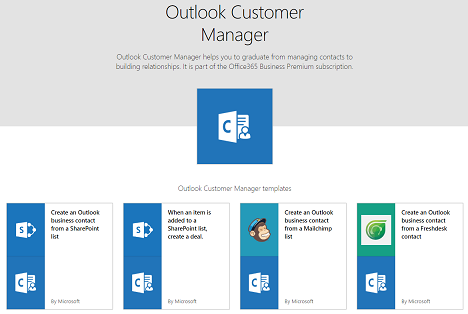 One simple example for this is using our new Approvals feature. Imagine for an incoming request for approval from both Finance and Sales, but you don't want for one to approve before the other to sees the request. With the new parallel functionality, you can dispatch both requests simultaneously. To get started, add your first step and then select the Insert a new step button above the step that you want to run in parallel to. Now you will be able to choose your second action and then it will show up alongside the first action that you had. If needed, you can continue to add additional actions in parallel. You can use the small Insert a new step button (the circular plus button) directly underneath each action to add a new step to that particular branch. With this approach, you can have as many steps run in parallel and sequence in multiple branches. Use the large New step button at the bottom of the whole workflow to add an action that will run after all parallel branches complete. You can think of this as merging the flow back together after it has branched apart. 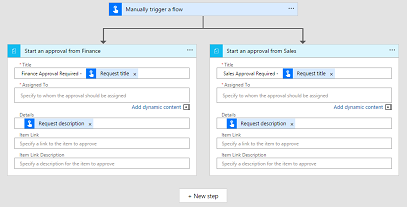 With these new capabilities you can build much more powerful flows, including with approvals that you want to happen simultaneously. Join us on the community to discuss how you will use this great new feature! Microsoft Flow will automatic retry when there is a transient failure with a service. However, previously we did not expose the details of each individual retry, so it was not clear exactly what was happening. Now, when you click on a particular flow run you can expand the actions that failed, and see exactly how many automatic retries occurred, as well as the exact details of what happened in that retry.